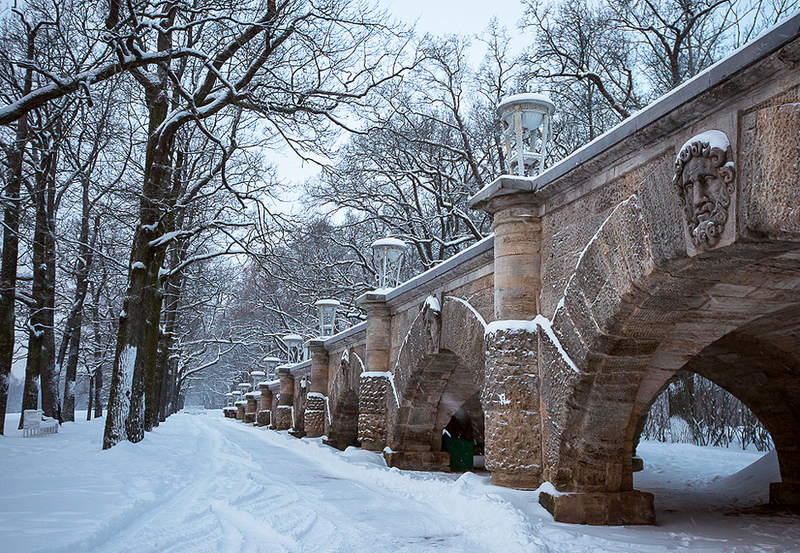 Recent winters in Russia’s temperate zone have seen decreasing snowfall, but if snow does fall, don’t let laziness and morning sleepiness stop you from snatching a thermos of hot tea and going skiing in a park surrounded by beautiful architecture. Tsarskoe Selo [Tsar’s Village] is situated 25 km from St. Petersburg, for two centuries Tsarskoe Selo was the official summer residence of the imperial family. 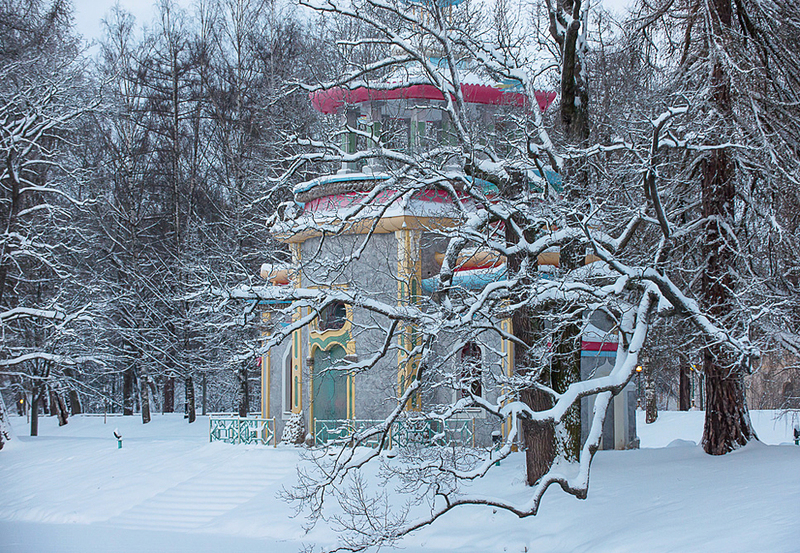 Tsarskoe Selo [Tsar’s Village] is situated 25 km from St. Petersburg. 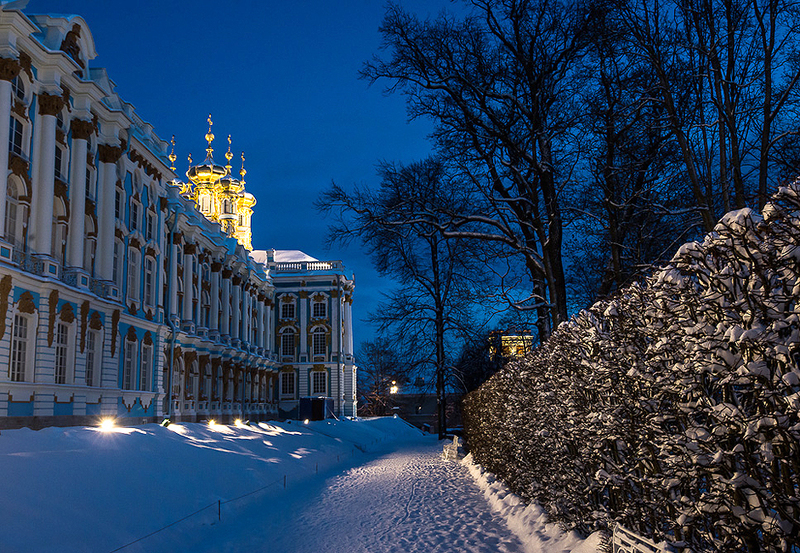 The origins of the palace and park ensemble at Tsarskoe Selo lie in the liberation of the Novgorod lands from the Kingdom of Sweden and the construction of St. Petersburg. 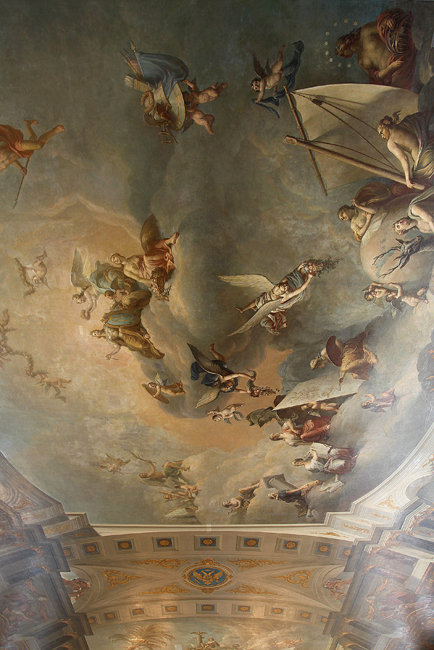 The creation of royal residence in place of the estate began in the 1710s and continued in the 1720s. For XVIII-XIX centuries Tsarskoe Selo was the official summer residence of the imperial family. The Tsarskoe Selo palace and park ensemble is a monument of world architecture and landscape art from the 18th to the early 20th century. More than a hundred monuments are scattered across an area of 300 hectares: palaces and pavilions, bridges and marble monuments, as well as exotic edifices in the Gothic, Turkish and Chinese style. 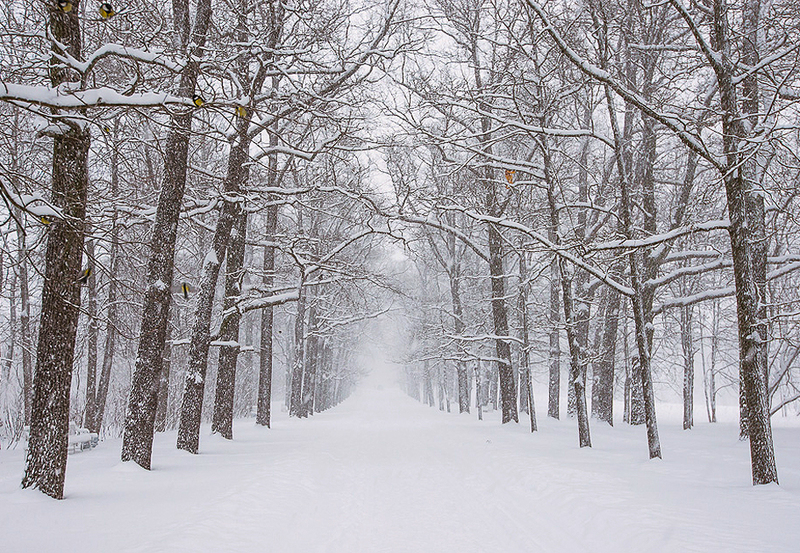 "The forests where I loved, where feelings developed, Where infancy merged with the first flush of youth. 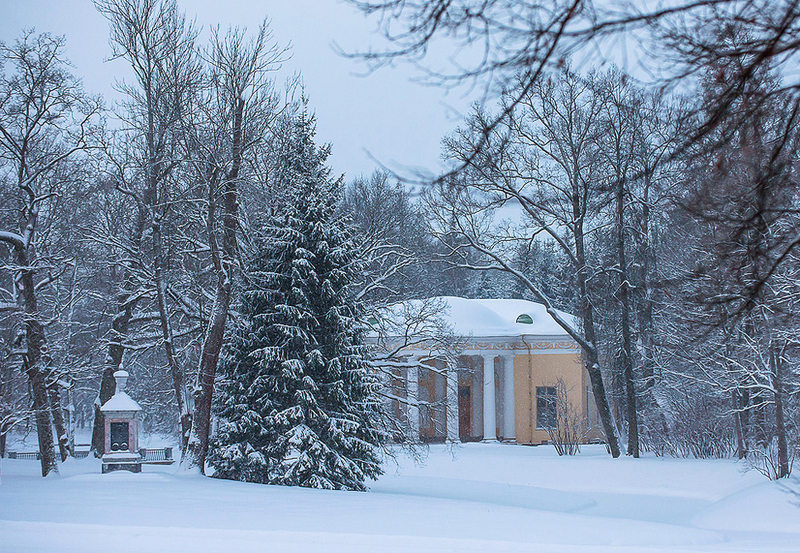 And where, nourished by nature and dreams, I discovered poetry, joy and tranquility…" wrote Alexander Pushkin, whose youth was spent at Tsarskoe Selo in the Imperial Lyceum. After the October Revolution of 1917 the ensemble was turned into a museum, and the new authorities converted the finest buildings into educational and health facilities for children. In 1918 the town was renamed Detskoe Selo [Children's Village]. 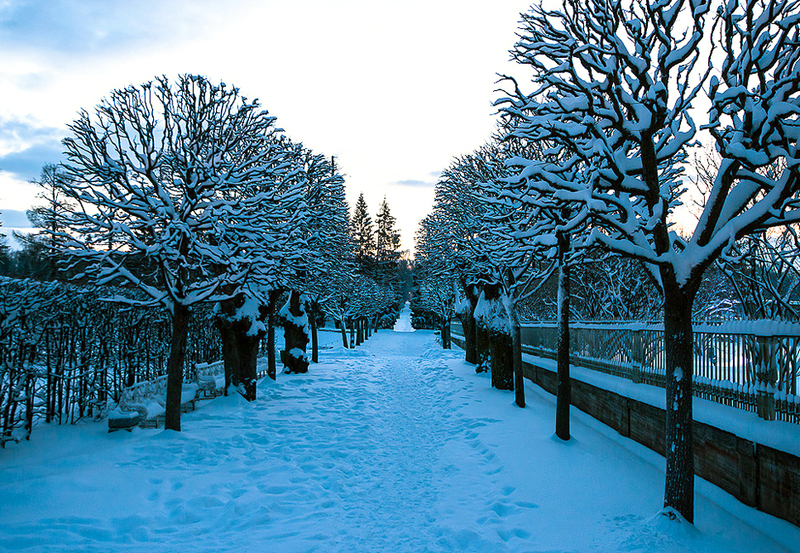 In January 1983 the palaces and parks became a nature reserve. Today it is one of the most common destinations for foreign and resident day-trippers from St. Petersburg. 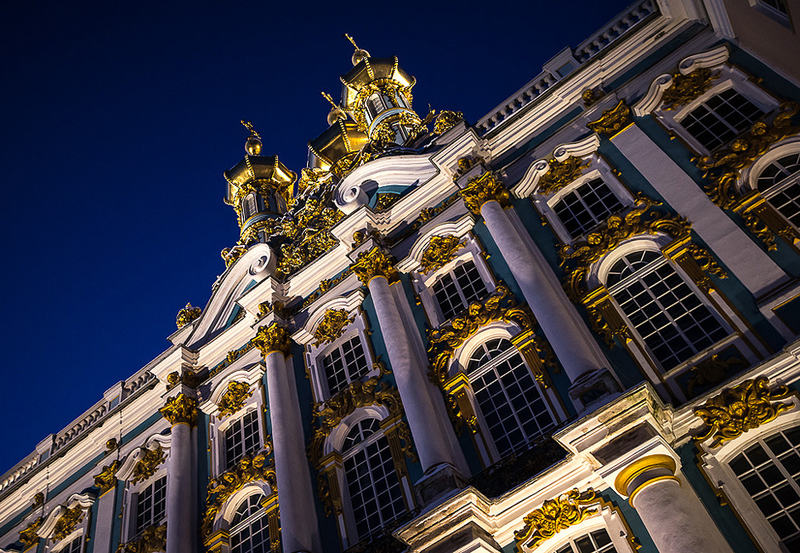 The territory features two main palaces - the Alexander Palace (Neoclassical) and the Catherine Palace (Rococo). The Great hall of the Catherine palace is over 800 square metres was intended as the venue for official receptions and celebrations, banquets, balls and masquerades. 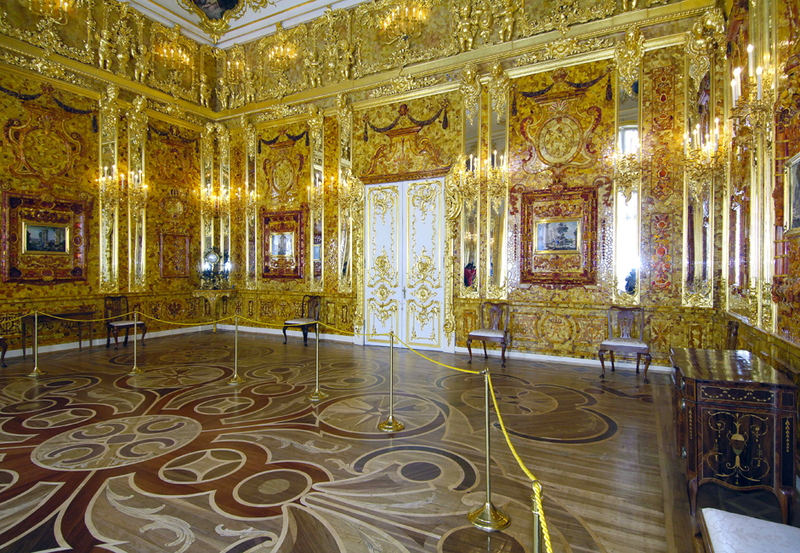 From the Portrait Hall you can reach the Amber Room, the gem of the Catherine Palace and a sight that has been justifiably called one of the wonders of the world. 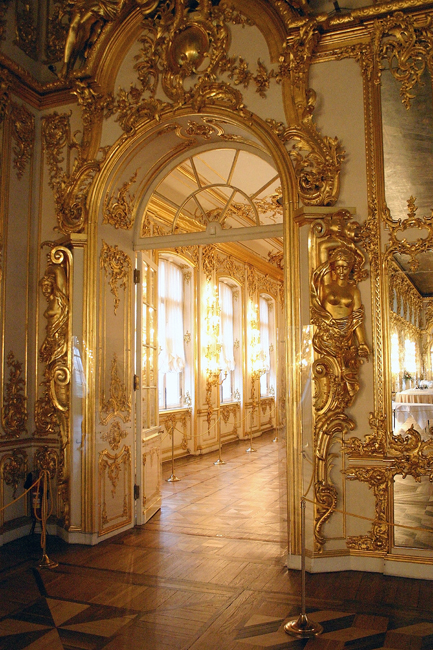 The priceless room was looted by Nazis during WWII and the original wallas have been missing ever since. 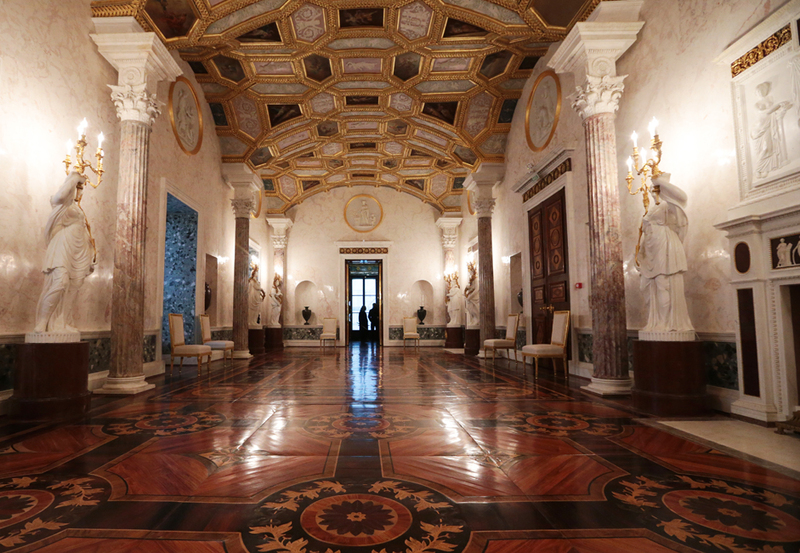 It is hard to imagine what it must have been like in its heyday if even now, restored, its beauty provokes admiration. The complex was badly damaged during the Great Patriotic War. Incidentally, St. Petersburgers are offended if Tsarskoe Selo is described as being in Leningrad region, since officially it is part of the city proper. But travelers get the impression that it is far from the city, especially when making the journey by suburban train. 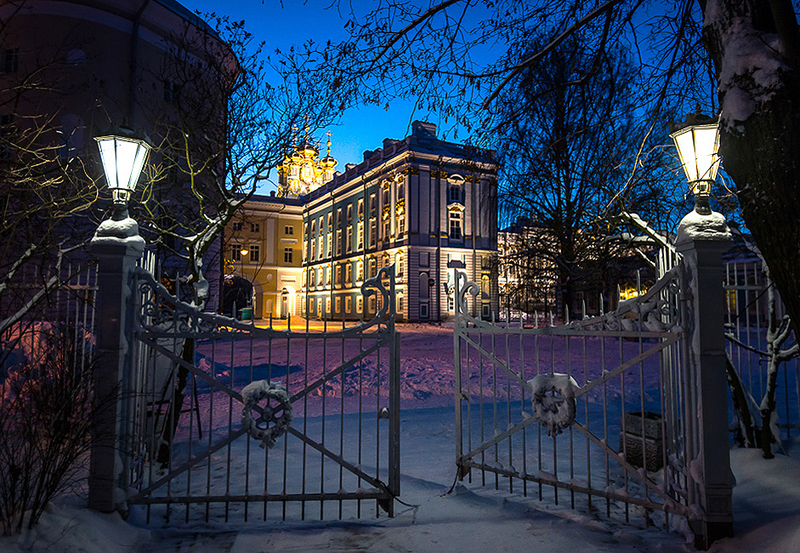 Tsarskoe Selo is best visited early, preferably before dawn so as to sneak through the empty unguarded gates. The reason is not to save yourself a couple of hundred rubles, but that the beauty of the park is contained in the quiet and solitude. The first busloads begin to arrive at 9-10am, and soon the whole park is literally brimming with noisy tourists.